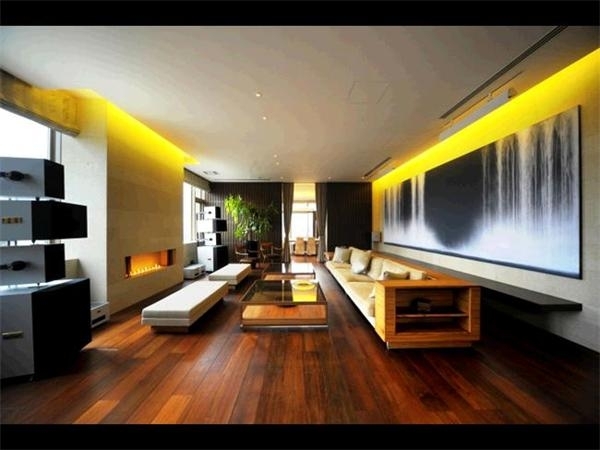 This is a very spacious, one bedroom penthouse situated in the prestigious area of Minami Azabu. Minami-Azabu is a district of Tokyo. Literally meaning “Southern Azabu”, Minami-Azabu was named so because it was situated in the southern portion of the former Azabu Ward. 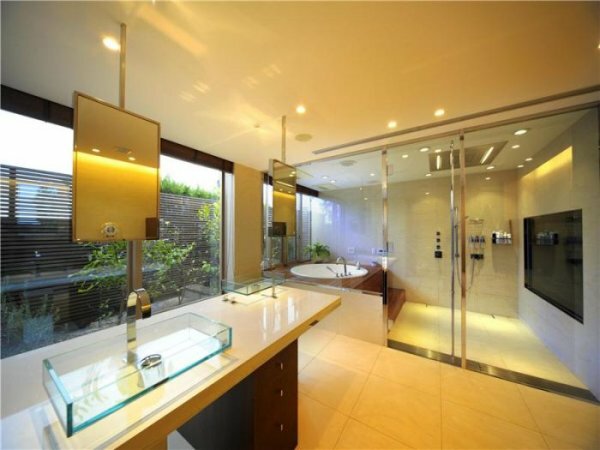 They say that the owner spent around 18 months renovating it in order to get to the masterpiece that it is now. The impressive entrance hallway has walls that open up to a massive shoe storage unit that holds up to 200 pairs of shoes. 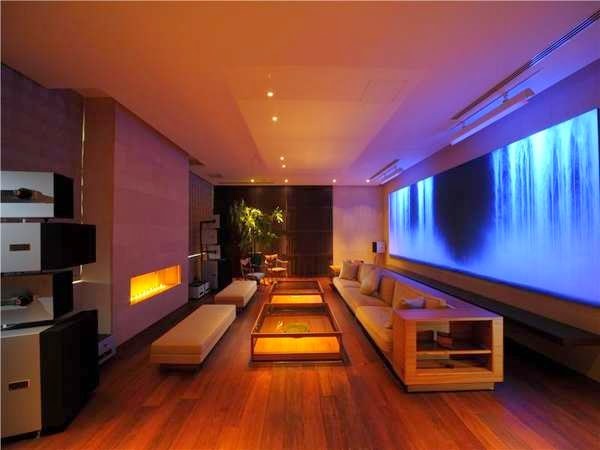 The living room impresses with its original art piece painted on-site by Hiroshi Senju. Then a number of the furniture pieces in the home are custom designed by Ceccotti Collezioni. The stone and wood that were used for the walls, flooring, and doors were imported directly from Italy. The dining room is designed in the Japanese “Ryotei” style and it can easily accommodate specific dinner parties where the chef can serve the guests directly from the gourmet kitchen. The flat also has another separate casual dining room with the Parisian-style terrace overlooking the peaceful Arisugawa Park. The very modern, bright and cheerful eat-in kitchen is fitted with all La Cornue appliances. Near the bedroom there is a spacious bathroom with hot tub and 60 inch television. Probably the main attraction of this amazing home is the courtyard garden. 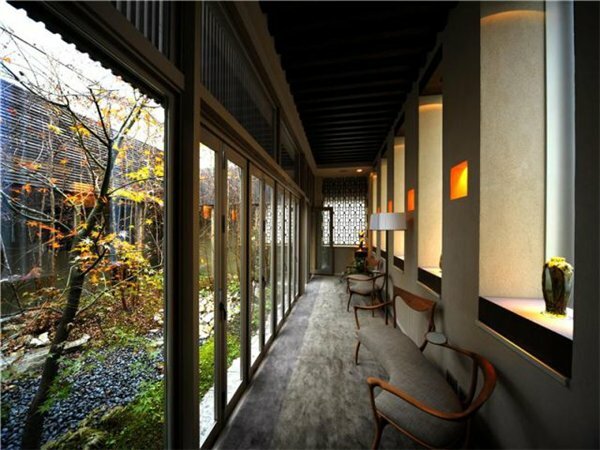 The corridor surrounding it is designed as a lounge space for guests to enjoy the charming seasonal garden.